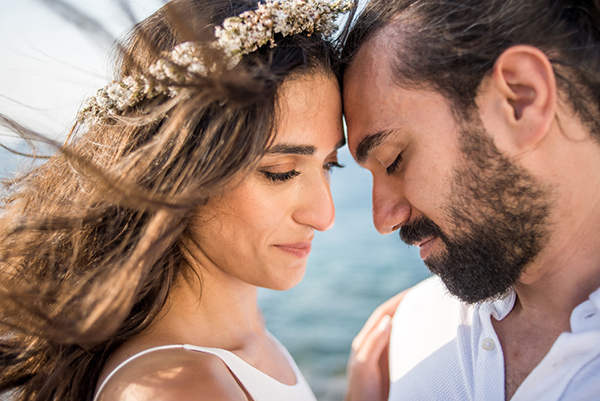 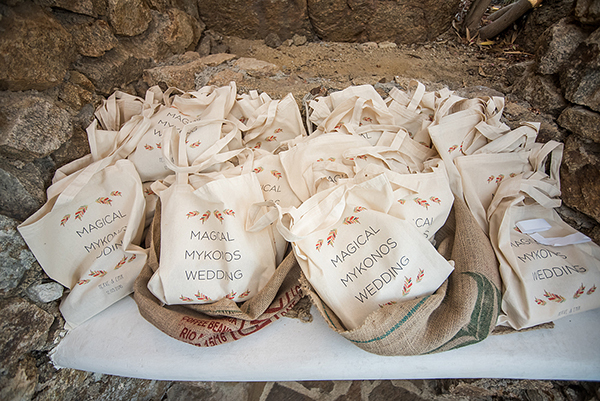 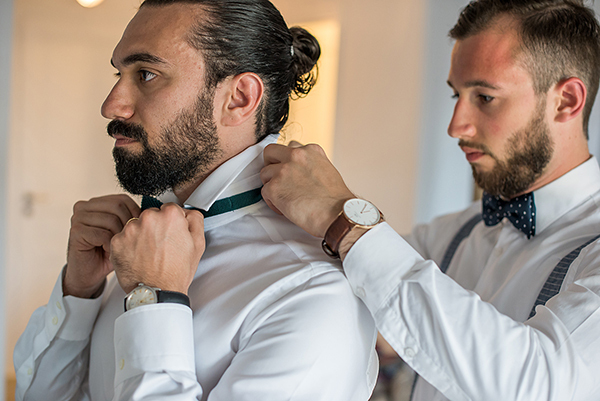 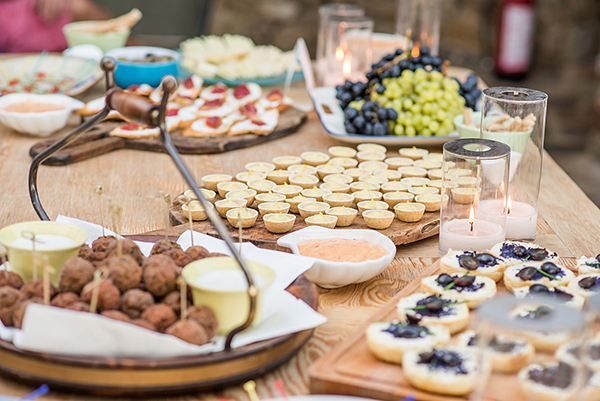 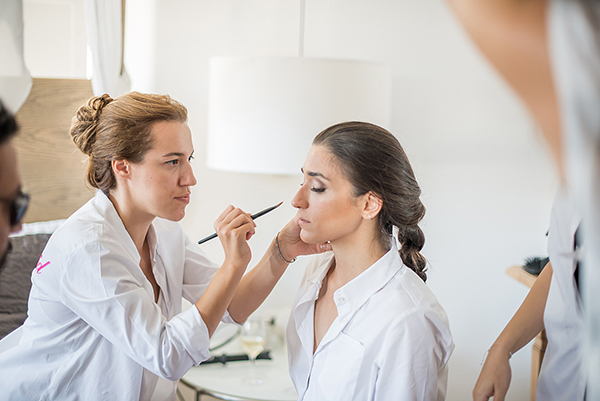 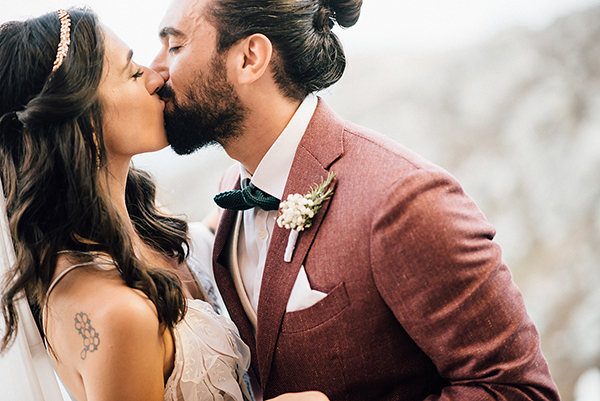 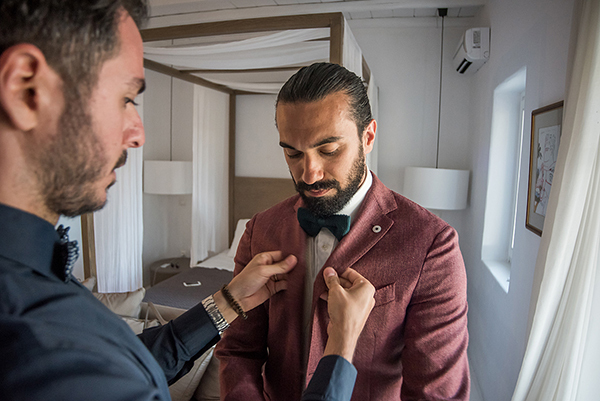 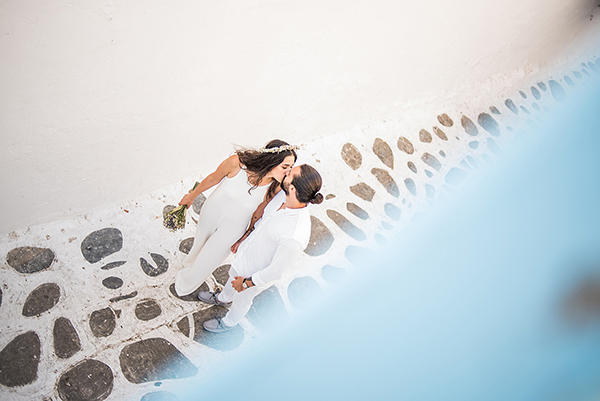 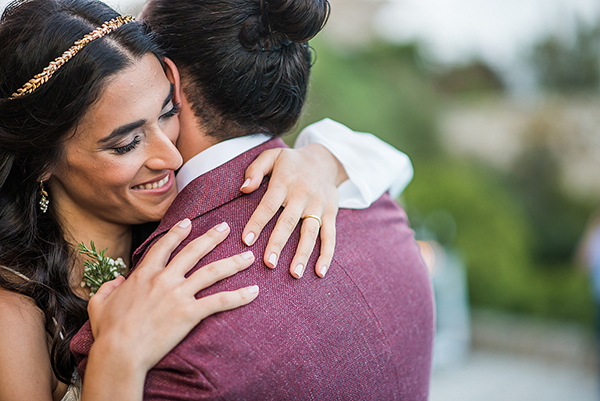 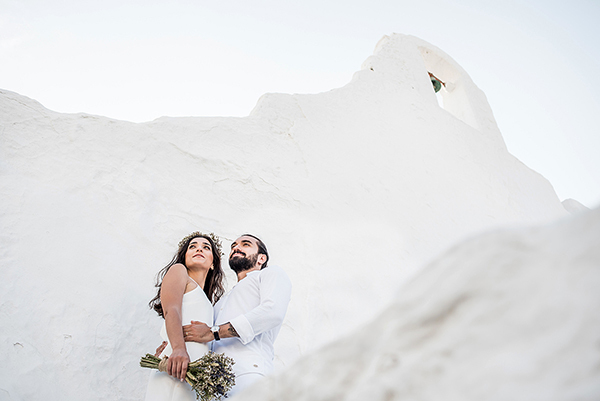 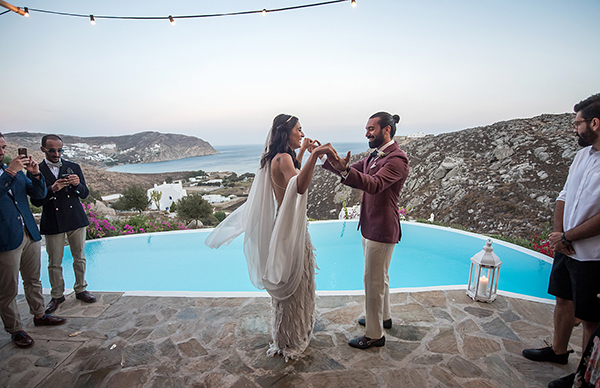 We are sharing today a gorgeous bohemian wedding in Mykonos that you are going to love! 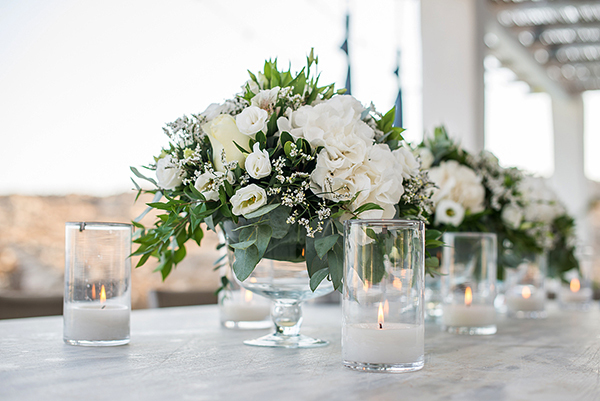 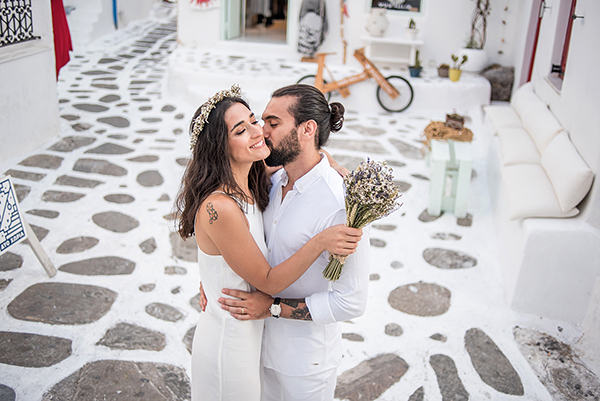 With natural decoration in white, green and brown colors, flower arrangements with white roses and many candles, this Mykonos wedding is so beautiful! 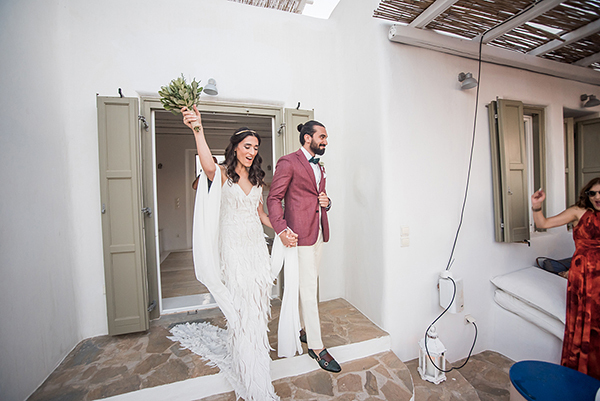 “My wedding dress had a bohemian style and closed fit my body. 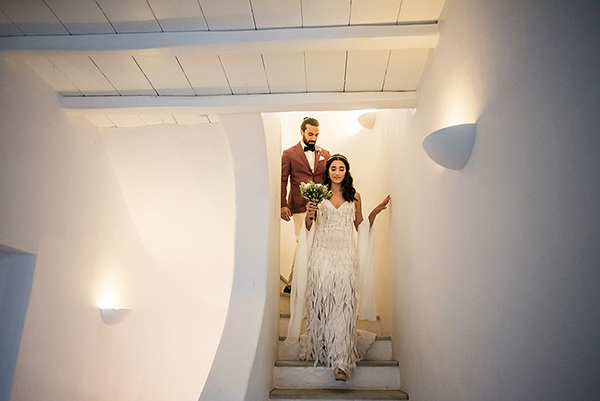 My wedding dress’ fabric consists of leaves and they are moving while I am moving. 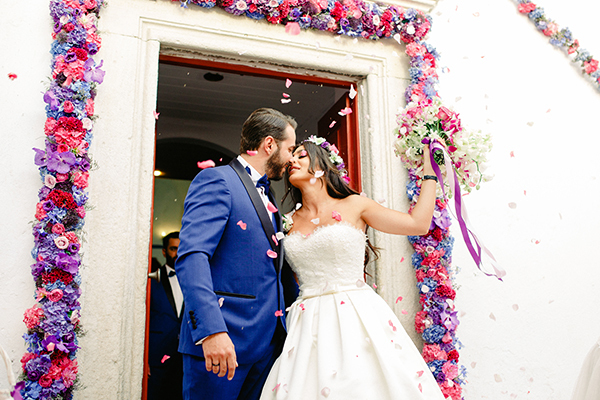 It was so comfortable and perfect match with my wedding concept. 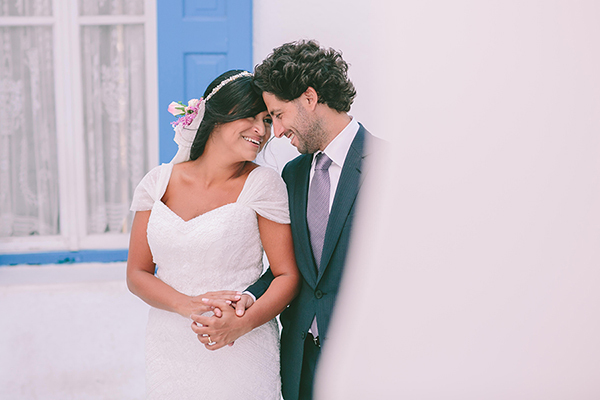 Wearing a comfortable wedding dress is priceless because the bride is standing up all the night and dancing. 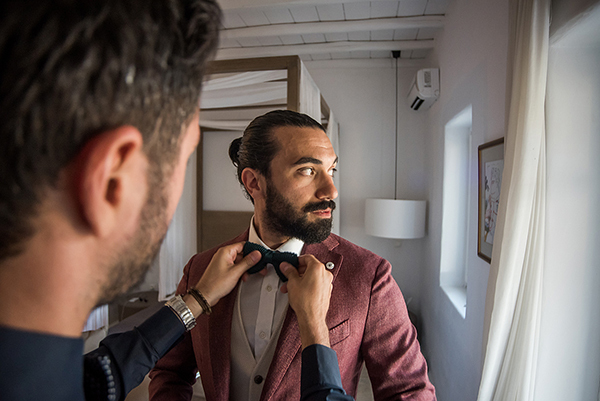 I can suggest the bride to be’s that choose a comfortable wedding dress and shoes if you want to partying like me all the night”. 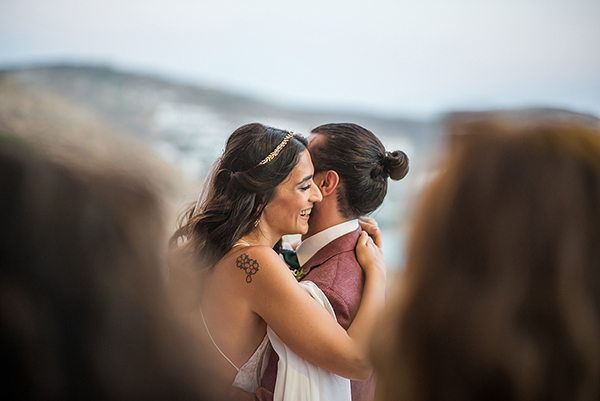 “We had two ceremonies. 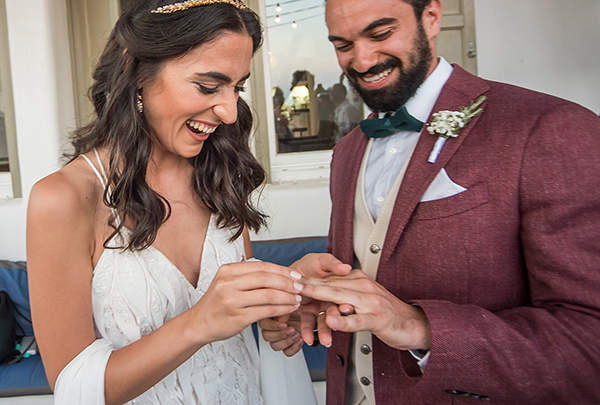 First one was in Turkey to sign and say “Yes” with our families. 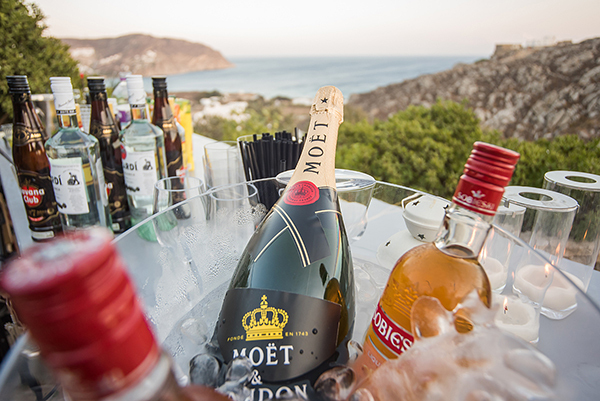 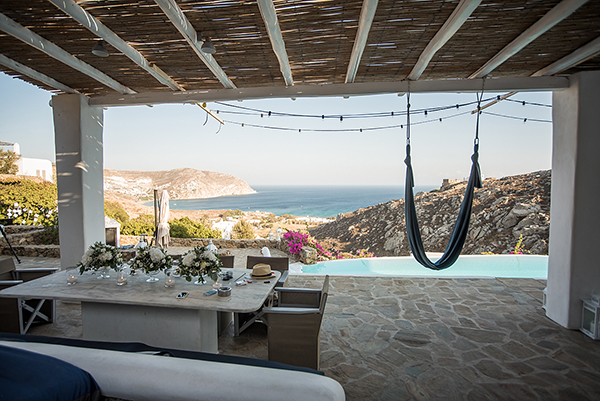 The second one was in Villa Artisti in Mykonos with our close friends and siblings. 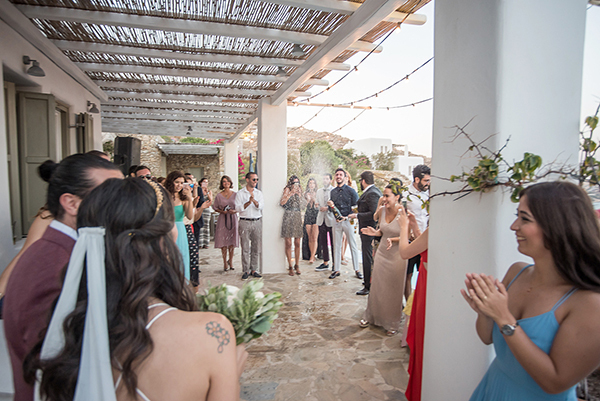 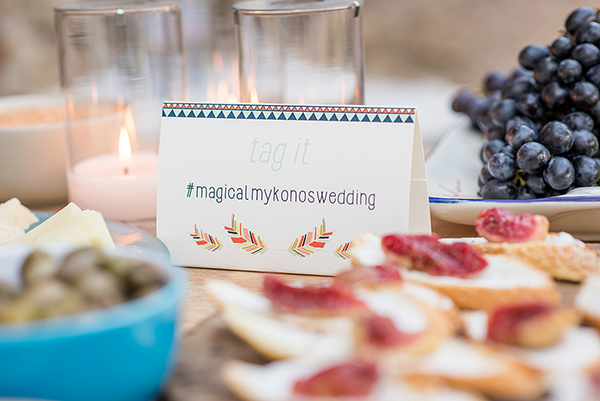 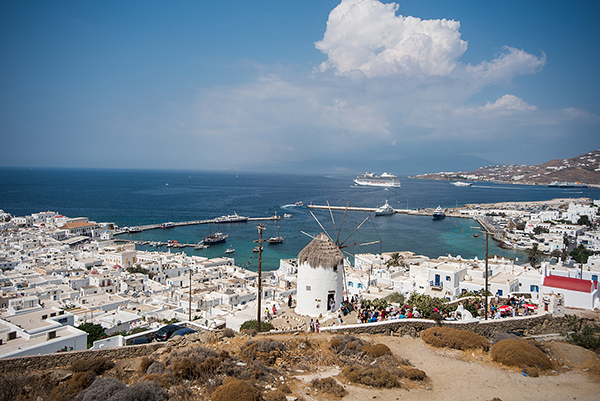 We call it “Magical Mykonos Wedding”.